Since 1975 the FDA has required all consumer products like collagen in a glass or similar drink mixes to include a complete product listing. Collagen is a protein substance found in connective tissue, cartilage, and bone. The dermis, which forms up to 85 percent of the thickness of skin, consists mainly of interlaced collagen fibers. Elastin, responsible for making the skin supple and flexible, consists of springlike fibers that run between the collagen fibers. When you’re young, collagen and elastin fibers form a tight-knit network. As you age, those fibers tend to deteriorate. The dermis loses its support and begins to bunch and fold underneath the epidermis. Unfortunately the epidermis retains its original size, so the folds manifest as wrinkles. Do Collagen Skin Creams Help Regenerate Deteriorating? Collagen, as well as elastin molecules, are too large to penetrate the stratum corneum and soak down into the dermal layers. While collagen and elastin infused creams are great at binding moisture to the stratum corneum, especially in climates with low humidity, they can’t replenish deteriorating collagen fibers. Collagen and elastin face creams make the skin look and feel satiny or plumped up. Unfortunately, the results are temporary since the creams only remain on the upper service of the skin. Does Drinking Collagen In A Glass Live Up To The Sizzling Hot Hype? Which brings me to the benefits of drinking collagen in a glass, versus slathering collagen, on my skin. Although controversial in some circles, drinking collagen in a glass has been proven to be effective for some people. I was impressed with what I discovered. Why? Collagen accounts for 25 to 30% of the total protein in the human body. Even more importantly, it comprises approximately 75% of our skin. Collagen is what gives the dermis (the thick inner layer of our skin) its firm structure. As we age, the production of collagen in our bodies diminishes resulting in the loss of firmness and elasticity, and the appearance of wrinkles. The Bioactive Collagen Peptides used in the Collagen Beauty Booster product consist of isolated collagen peptides. These peptides provide maximum benefits for skin improvement. The peptides were developed through a refined production process. When consumed, these peptides support the production of collagen in your body. I’ve been experimenting with a range of various collagen drink mixes with some noteworthy results. One collage drink mix I found which I liked, and seems to make a difference, is called The Collagen Beauty Booster. The product is manufactured by Herbalife. The reason I liked this product was because of the impressive clinical results which have been documented by the company. I definitely liked how easy the product is to take. It tastes good which is important to me. Some of the other products I’ve tried didn’t taste very good and that made it hard for me to drink. The suggested usage is to mix 2 scoops a day with water, tea or aloe juice. You can also mix it with yogurt into a protein drink shake. Formulated with Verisol collagen*, The Collagen Beauty Booster Product has been tested to show definite support of skin elasticity. It’s also been proven to assist in the reduction of fine wrinkles. Formulated for women and men, the product contains Vitamins A (as beta-carotene), C and E. It’s been proven to help prevent harmful free radical cell damage which ages skin. The Bioactive Collagen Peptides can also help to reduce signs of cellulite. Additionally, the product supports strong nails and healthy hair with selenium, zinc and biotin. 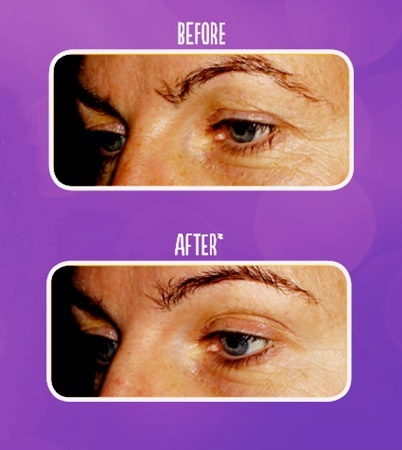 Results will vary depending upon different people, their skin age and type. Bioactive Collagen Peptides is a registered trademark of GELITA AG. The product was clinically tested on subjects. Skin roughness was measured by Visiosan at interevals of 0, 7 and 42 days. *Verisol is a registered trademark of GELITA AG. Statements included with information about The Collagen Beauty Booster productc have not been evaluated by the Food and Drug Administration. Note: Neither I nor Hairboutique.com have been compensated in any way for this blog or product review. Skin Genesis from L’Oréal Paris is a technologically-advanced, cell-strengthening system for stronger, tighter, more even skin. Formulated with patented Pro-Xylane™, an exclusive L’Oréal molecule that strengthens skin and reignites cell activity layer by layer, and hyaluronic acid, skin’s natural hydrator, Skin Genesis is a true advancement in skincare science. It marries the power of nature – 100% naturally-derived ingredients and “green chemistry” – with cutting-edge research and development. 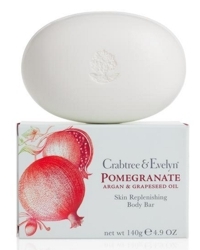 Crabtree & Evelyn introduces the new Pomegranate Body and Hand Care, created from a unique blend of pomegranate, argan and grapeseed. We have long been inspired by powerful ingredients found in nature and the new pomegranate is yet another example of this enduring philosophy. Inspired by the succulent fruits and nourishing oils of Morocco, this body and hand care collection features rich, replenishing botanical ingredients and natural antioxidants that will leave skin feeling velvety soft and radiantly supple. Bothell, WA — Seattle-based dermatology biotech company Helix BioMedix has announced the introduction of a new line of anti-aging products. The anti-aging line is backed by 20 years of the company’s research and development in the skin care field. The initial system has been developed for normal to dry skin, and the four products can work alone or synergistically to help fight the signs of aging skin. Three of the products have been formulated with SmartPeptideTM technology to help reduce the appearance of fine lines and wrinkles. Apothederm product ingredients are carefully selected to hydrate dry and sensitive skin, leaving the skin supple and moisturized. Apothederm’s Firming Serum is power packed with two SmartPeptides to provide the ultimate boost in anti-aging for skin. 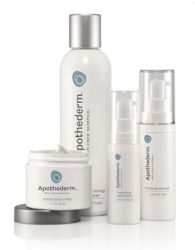 Apothederm Moisturizing Cream is an emollient formulation with palmitoyl hexapeptide-14 that targets fine lines. The rapidly growing field of nanotechnology and its future use in cosmetic products holds both enormous potential and potential concern for consumers. Currently, major cosmetic manufacturers have imposed a voluntary ban on the use of nano-particles in products while they await a ruling from the Food and Drug Administration (FDA) regarding the safety of this technology. However, these manufacturers know that when ingredients in products such as sunscreens and anti-aging products are converted into nano-sized particles, the end product displays unique properties that can benefit the skin in ways that otherwise could not be achieved using larger-sized particles. Speaking at a past Annual Meeting of the American Academy of Dermatology (Academy), dermatologist Adnan Nasir, MD, PhD, FAAD, clinical assistant professor in the department of dermatology at the University of North Carolina in Chapel Hill, presented an overview of nanotechnology and how nano-particles may eventually be used in cosmetic products. Now that Labor Day is here it’s time to transition your skin care needs from Summer to Fall. While it’s important to continue to protect your skin all year-round with a broad spectrum sun screen, you should also consider other methods of preparing your skin for post-summer needs. Whether you Do It Yourself (DIY) at home or visit your favorite spa, it’s always great to start a new season with a clean slate. Your skin will appreciate some tender loving care (TLC) after a long hot drying summer. Opt for a soothing and moisturizing facial to create a healthy glow and an inner calm. A. Pre-Cleanse – Remove make-up and rinse in lukewarm water. B. 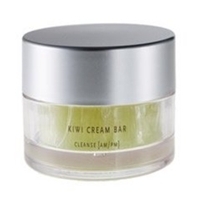 Cleanse – Apply desired cleanser tied to your skin type and current needs. As the summer season slowly turns into Fall, indulge your skin in a fruity cocktail for your skin to keep that beautiful summer glow. Arcona’s skincare cocktail has you covered with kiwi, berry, raspberry and papaya! ARCONA’s effectiveness is its active ingredients and the way they are combined and processed. Cosmeceutical-grade ingredients, such as enzymes, antioxidants and amino acids, are formulated to work synergistically to deliver powerful results. These active ingredients are cold-processed at very low temperatures, in small batches, to keep them active and effective. 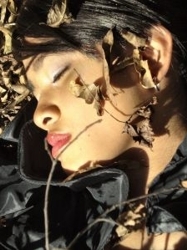 Dewy skin, clear complexion and a flawless tan are things that we want to preserve all year round. Unfortunately they wither away in the fall when sunny vacations are over and it’s back to the grind. Dr. David E. Bank, founder and director of the Center for Dermatology, Cosmetic & Laser Surgery in Mount Kisco, NY and President of the New York State Society for Dermatology and Dermatologic Surgery shares his expert tips on how to extend that beautiful summer vacation glow from fall deep into winter. Remove Dead Skin Cells – The sand at the beach and regular shaving during the summer acts as a natural exfoliation for the body. Professional Treatment – Requiring no anesthetic, microdermabrasion uses light abrasion to remove dead skin cells on the epidermis thereby revealing younger, smoother skin. At Home – To preserve smooth and dewy skin, opt for an at-home gentle exfoliation with salicylic acid twice a week to slough off dead skin. According to the centuries-old Indian Ayurvedic philosophy, the hottest part of the summer and early fall represents the fire element. Excessive fire in the environment can cause us to become imbalanced and is described by Ayurveda as the Pitta Dosha. At this time of year when there is a predominance of Pitta we can all experience some skin sensitivity and be prone to rosacea or acne. The innovative formulations of the DoshaCare Customized Ayurvedic Skincare combine Ayurvedic philosophy with the best of Western technology to produce an effective and powerful hybrid. DoshaCare educates consumers on their primary and secondary Doshas, allowing them to select the proper skincare regimen to achieve balance for their specific mental and physical characteristics. Each DoshaCare product, made up of 98 percent natural and organic ingredients, comes from socially and environmentally sustainable sources and the brand has been certified as members of the Green Business Network. The Importance Of Hydrating Your Hands! “National Clean Hands Week” is coming up. Throughout the week of September 21st-27th, hand hygiene will be celebrated with activities and educational programs nationwide! We all know that hand washing is necessary to eliminate germs before preparing food, after using the bathroom, taking out the trash, and a host of other activities; but all that lathering up and scrubbing can strip the skin on your hands of its natural oils, causing dryness and irritation. Good thing there’s AHAVA Mineral Hand Cream! Made with nourishing Dead Sea minerals, AHAVA Mineral Hand Cream (the hero product of the entire AHAVA line) is an extremely rich cream that instantly soothes chapped, dry and irritated skin. It absorbs quickly into the skin without leaving a greasy feeling, and restores vitality for supple, softer and younger looking hands.